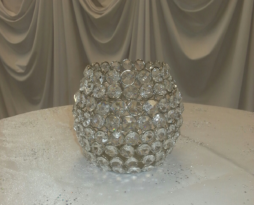 A classic rental, a tall crystal candelabra rental for your Chicago event. 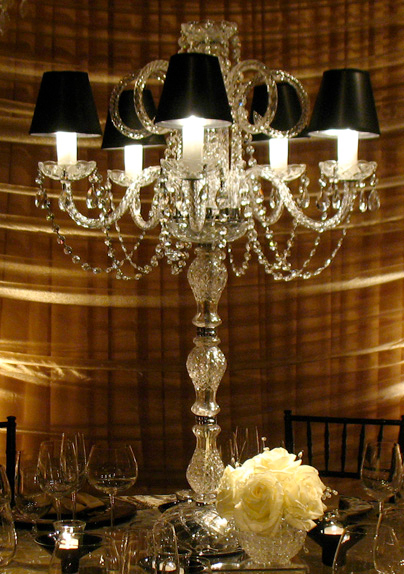 Rent this tall crystal candelabra Extra which is extra tall at 39″. 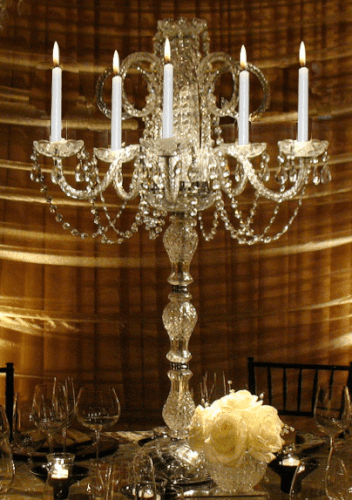 This is a classy candelabra rental for your Chicago event. 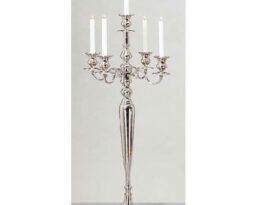 Does not compare to others that rent a short 24″ light weight glass candelabra with no design elements. With candle light, this piece offers romantic lighting when using our LED candles or natural flame drip free candles. This will lift your center piece high above the table and glamorize your event allowing full table conversations without a table height center piece in the way. This candelabra has five candle holders. 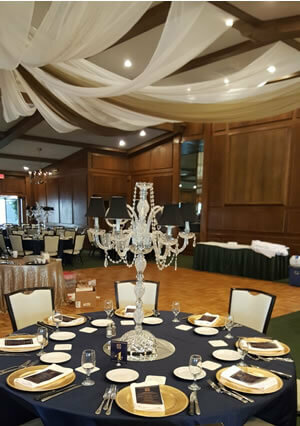 The crystal four arm plus center candelabra towers above and can be used with battery operated LED taper candles. Real candles can be used for an additional charge. Only drip free candles can be used. These drip free candles must be purchased from us or additional wax removal fees might be added after your event as regular candles can create melted wax that has to then be removed. 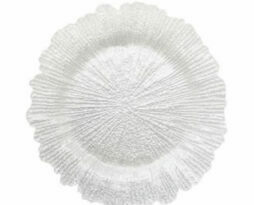 Battery operated or drip free taper candles can be added on, see the Candles product page. Real candles can not be used with the shades under any circumstance. No flower bowl or glass hurricanes are available for this item. Shades can be added or removed for an additional charge in any color. We currently inventory black shades, call us to explore other color options.